Chicago Home Buyers Utopia is the premier online search service for home buyers in the Chicago Area. Since 1997 we have assisted thousands of home buyers and real estate investors with their Chicago Real Estate needs. Simply select the type of property, size, price and areas you’re looking in. We will show you all the active property listings and keep you updated of new listings with e-mail’s. This includes everybody’s listings in the Chicago Real Estate markets — not just ours. When you register for the service you will receive a personalized online account where you can see pictures and learn more specific details about any of these properties. Bron Fieldwalker, President – Syndicate Digital Inc. I am ready to start my Chicago Real Estate search, take me to the next step. Take control of your home or investment property search. 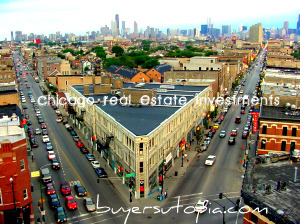 Simply register and quickly search through all Chicago single family homes, condos, lofts, 2-4 flats, multi family apartment buildings and alternative investment property currently for sale. You’ll get updates as soon as new properties are listed – a must if you want to beat out other buyers in our red-hot real estate market. Best of all, you don’t have to depend on – or even talk to – an agent to get started. Our service uses the same Chicago area MLS (Multiple Listing Service) that all licensed real estate agents use. So you can find the same listings without waiting for an agent to search for you, and yet have the freedom to involve our team of experienced agents whenever you’re ready. Why should you use the Buyer’s Utopia Free service? Search the entire MLS (Multiple Listing Service) 24 hours a day. You can choose from over 50,000 properties currently on the market today. You will receive timely information from professionals you can trust, and learn how to quickly find the right home for you. You will be the first to know about new properties hitting the market, our Listing Alerts keep you updated of all new market activity. Maintain control & independence of your real estate research. With addresses and maps online, you can drive by homes to decide if you’d like to schedule a private showing of any property. Detailed information about neighborhoods, schools, taxes, financing options, property photos and more. 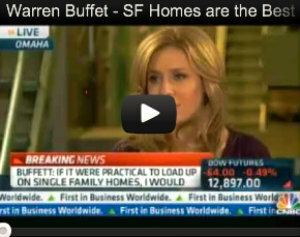 Access to Insider Information used by professional real estate investors. Free No Obligation consultations available from experienced local agents. Whenever you are ready our team of Real estate experts are at your service. Move from research to negotiations to closing smoothly and efficiently. Save time and money with our real estate team that is dedicated to providing exceptional service. With our award winning web site, founded in 1997, you are guaranteed the most comprehensive real estate search in Chicagoland. Best of all when you find that special property the iDeal Location Team of licensed professionals is available FREE of charge to represent your interests with property research, contracts and negotiations. We are your buyers advocate; Sellers have an agent representing their interests and you should too, we level the playing field. As you can see from our testimonials we are endorsed and recommended by individuals just like you from all over the city and suburbs. In fact, you can search all of the over 100 City of Chicago neighborhoods, and more than 300 suburban towns in the 6 county Chicago metro area! Just tell the search engine what you’re looking for … and listings that match your specific criteria will be delivered instantly to your computer. It’s that easy! You’re just one click away from instantly taking control of your Chicago Real Estate MLS property search! What is a Newhomesale Award? Very good question! Our staff takes the time to review web sites submitted to us and determines if it meets certain criteria. This is a site that can proudly display one of the Newhomesale Site awards because it is an outstanding site. In our continuing search for additional resources, we are constantly finding “clues” on the Net. We wish to reward those sites displaying both creativity and a commitment to their user/client. We base our decisions on design, interactivity, and most important content. We seek sites that are useful, informative, or entertaining.